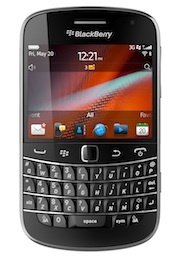 Three of the four carriers of Research In Motion’s recently announced BlackBerry Bold 9900/9930 are offering the handsets without NFC technology, according to FierceWireless. AT&T, T-Mobile and Verizon failed to mention NFC in their press releases announcing the launch of the new handset—Sprint was the only one— yet all four carriers have demonstrated interest in supporting the technology. An AT&T spokesman added that the company’s involvement in Isis is a clear indication of their support for NFC.